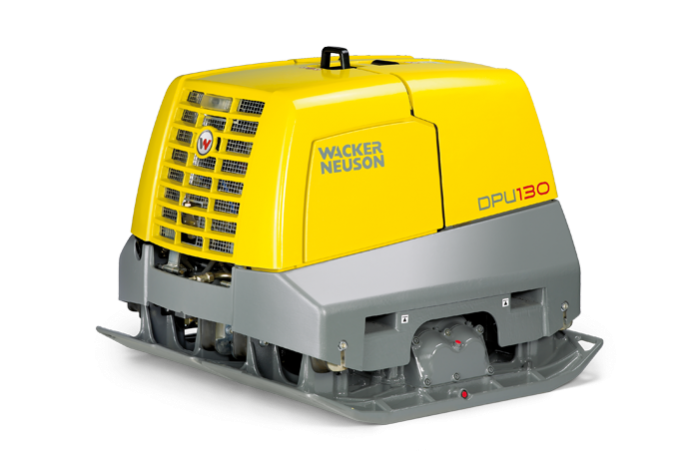 The DPU 130 is the most powerful vibratory plate in the market. 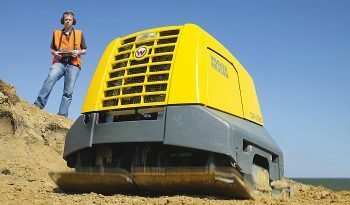 With its 130 kN centrifugal force and operating width of 120 cm, it easily reaches the productivity of a 7 t roller – but is much more cost-effective, thanks to the lower capital and operating costs. 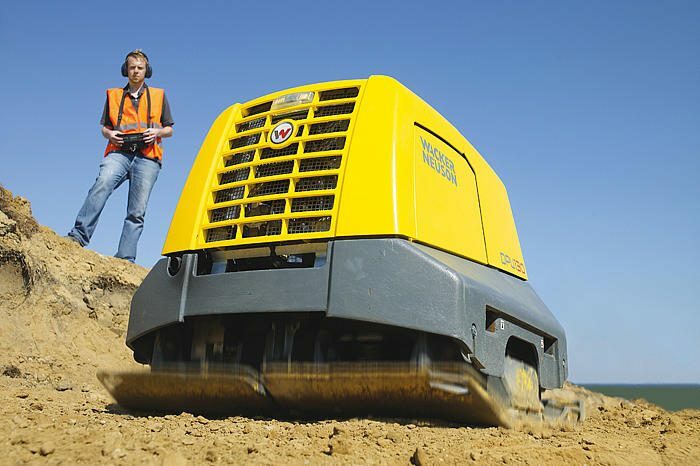 Wacker Neuson have developed this remote-controlled vibratory with its practical operation on the construction site in mind. 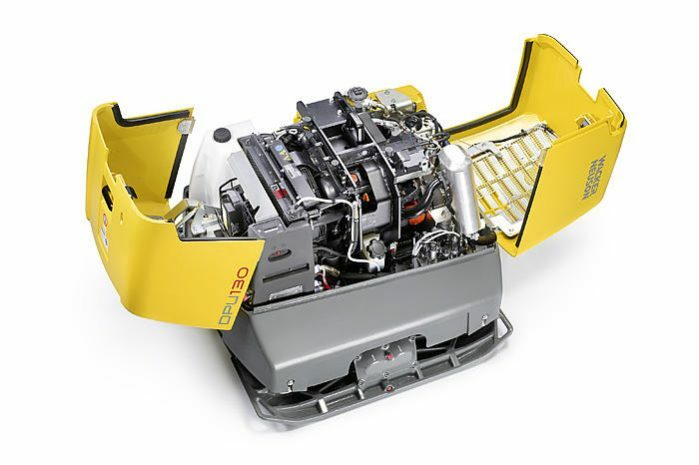 Its pioneering design concept has won two innovation awards. 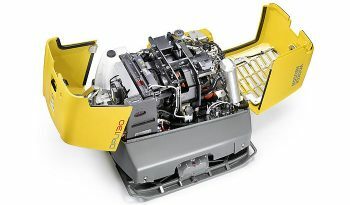 The unique concept of a split base plate makes maneuvering easy. There is no need for time-consuming moving backwards and forwards around obstacles and recesses. The infrared remote control system provides maximum safety: The operator is protected from vibrations, noise and dust. The machine can only be operated if line of sight is intact. 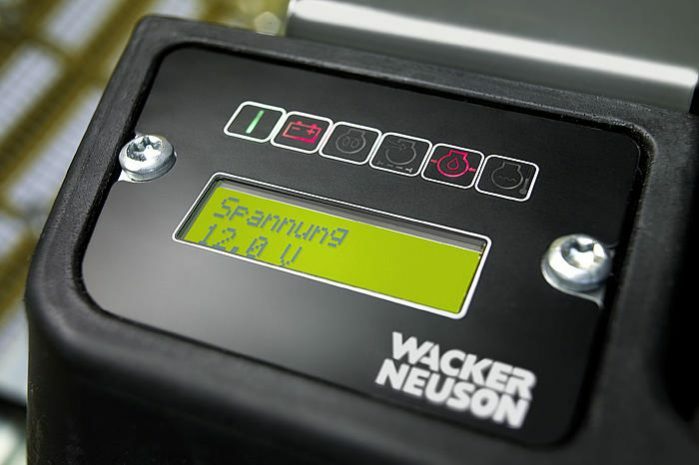 In case of a loss of control the proximity recognition sensor keeps the operator safe. 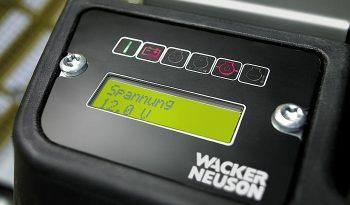 An overload sensor protects the machine from damage if the surface under its base plate is too hard. 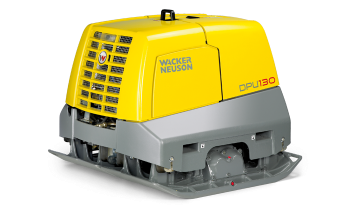 Easy to transport: The DPU 130 can be transported easily on the back of a small truck. There is no need for a flat bed truck, as there would be for a roller. Power transmission Hydrostatic, electronically controlled, dual-circuit system.